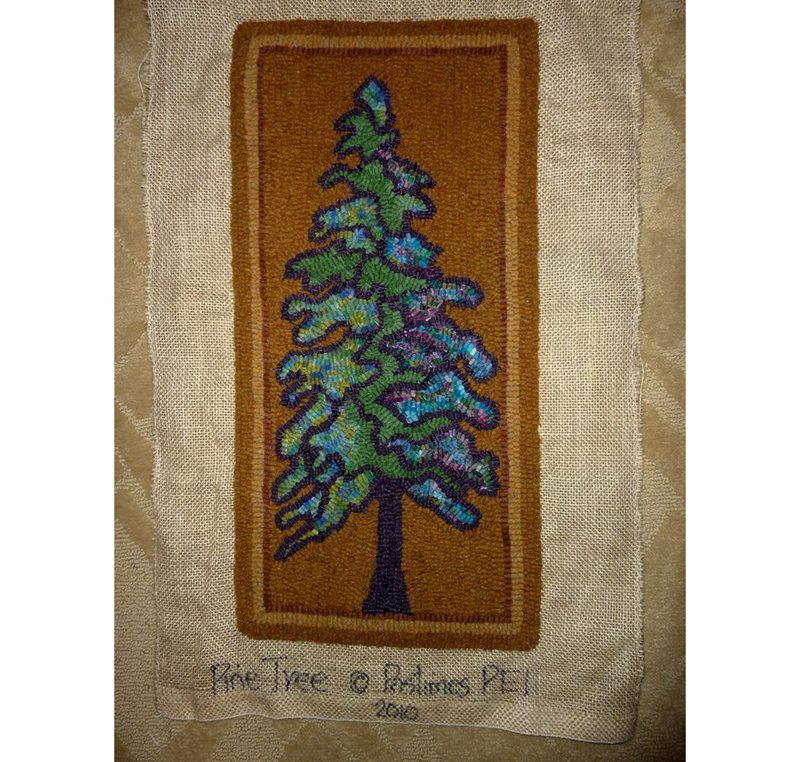 It’s all about simple compositions and, classic PEI rug hooking style as we create our Pastimes PEI rug hooking patterns. 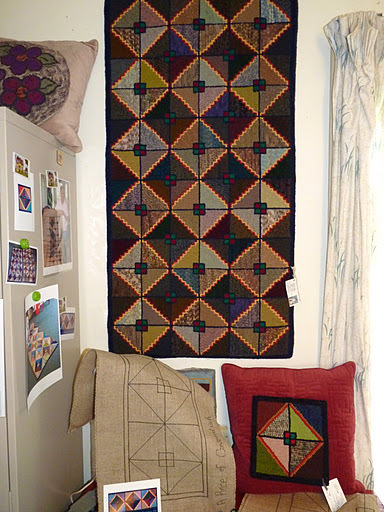 We hook our pieces to see how they work before we offer them for sale as patterns or kits. We want the people who hook our designs to simply enjoy the process and, in turn, create a hooked piece of their own art that stands the test of time. In the past, when we began making our our designs to hook for ourselves, we made simple designs that used minimum colors because we were using what we had on hand. 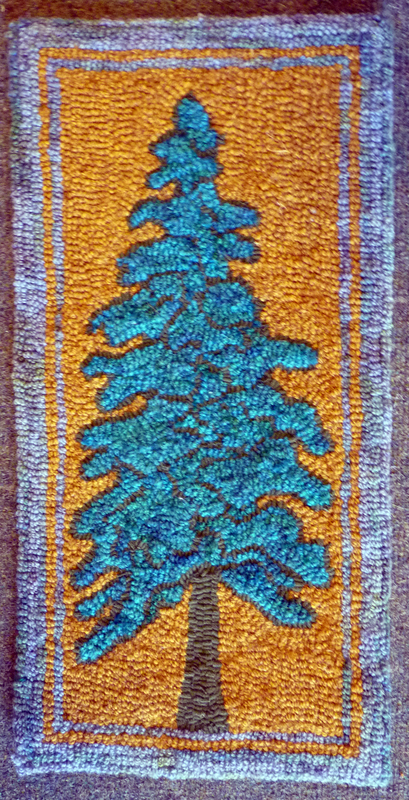 The more we studied the old rugs from Prince Edward Island, the more we understood how ‘mats’ were hooked in the past before traditional rug hooking became a popular leisure hobby for many people and a business for those providing the materials, equipment and lessons for thousands of eager crafters. 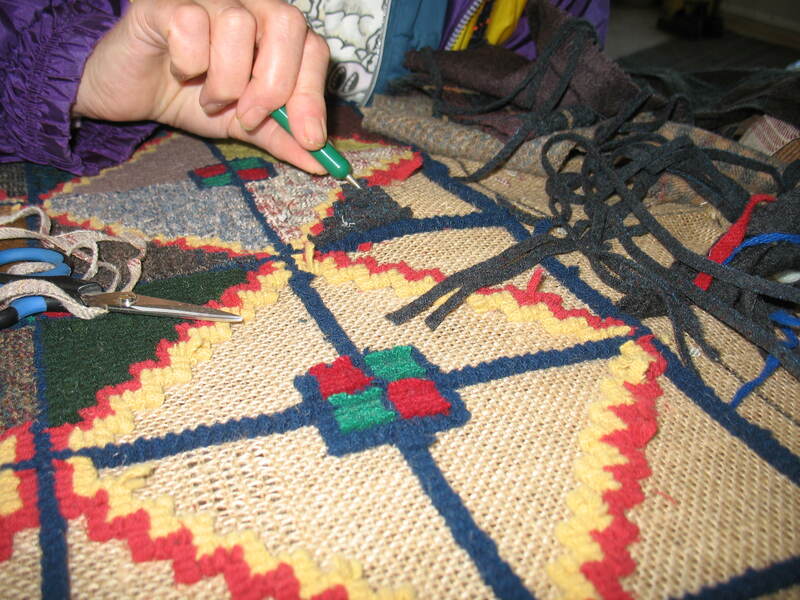 We start with an idea, scratch it on a piece of paper, work out a rough draft of the composition, the size, the proportions, the border, the colors ….. and ‘voila’ a new rug is taking shape. You will notice that all of our rugs have a name. We call them by name. 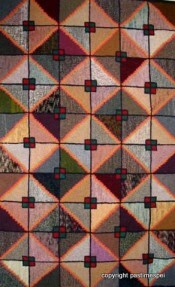 We always have a reason for making each and every pattern, therefore, the name evolves. Take into consideration the size of motifs in the drawing; are they large enough to actually hook? Keep a notebook of your original inspirations, ideas, sketches and dates along with the progress of the work so you can prove ownership and, therefore, copyright of your work. 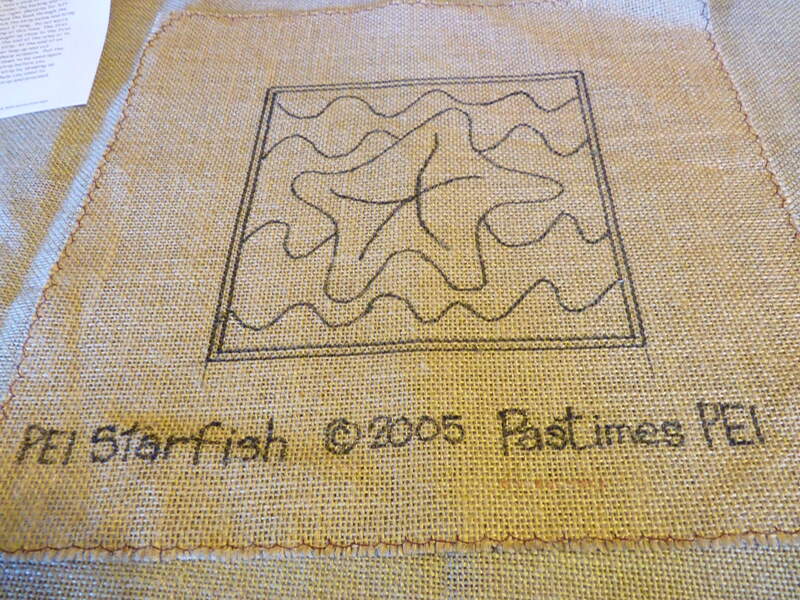 For us here at Pastimes PEI the most exciting aspect of rug hooking is seeing a new pattern hooked for the first time; we hook all our patterns ourselves before we sell a pattern, just to make sure it is suitable to hook at any skill level. 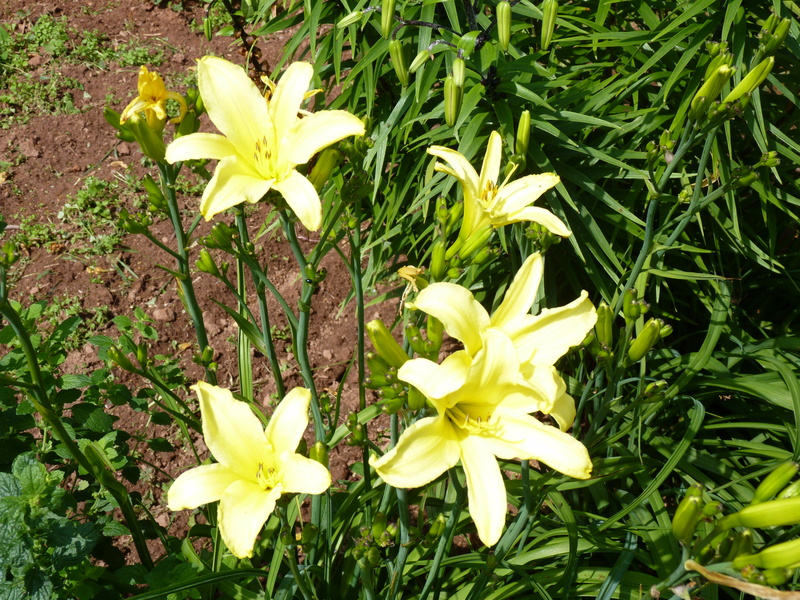 But when people start showing us their versions, it is simply a thrill. You can see what I mean by the following two examples hooked from our pattern, Evergreen. I have just listed the pattern on our Etsy shop: https://www.etsy.com/shop/pastimespei. 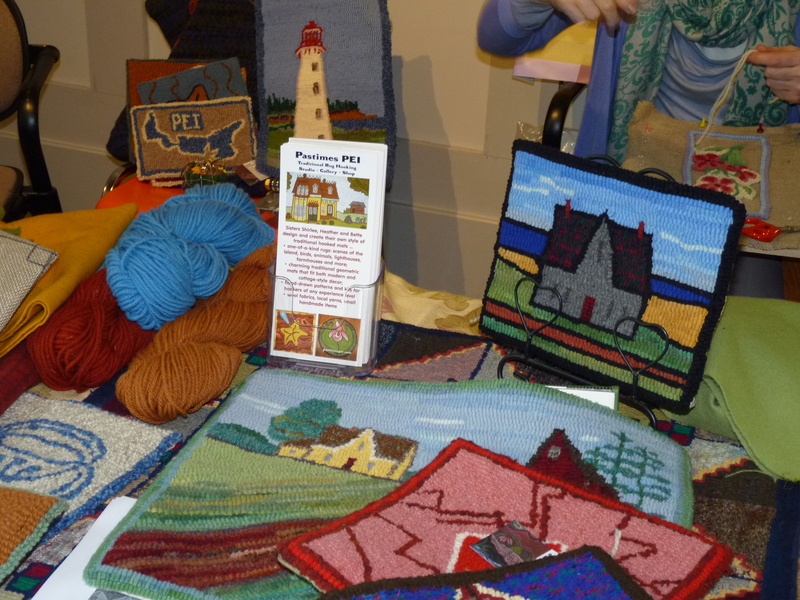 Rug hooking is a rural tradition that continues to evolve and enrich the lives of rug makers on Prince Edward Island; since we are “all about the wool” here at Pastimes PEI, we often tell our visitors about the customs of the people who made PEI their home and made nearly everything they possessed by hand. 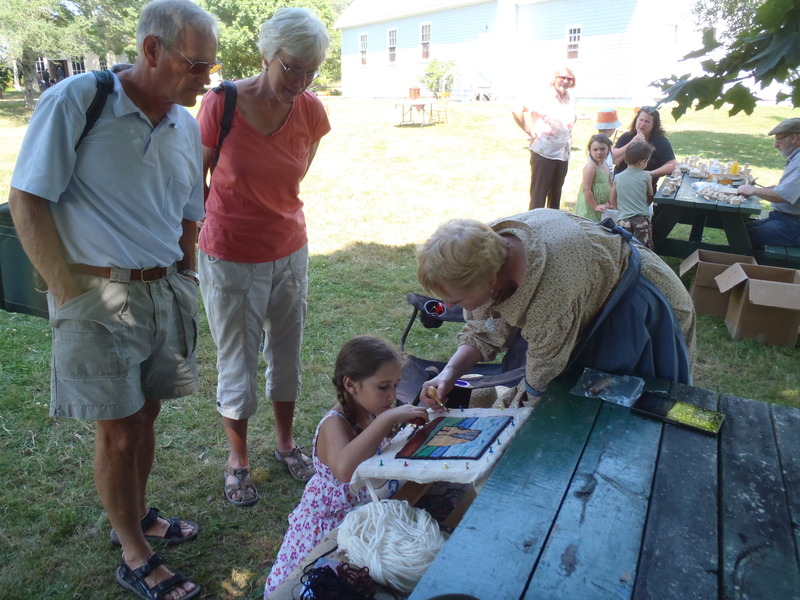 The counrty craft of rug hooking may have been brought here by the hardy Scottish settlers who landed in this area with their sturdy Highland sheep. Wool has properties that make it perfect for winter clothing, bedding and, of course, hooked rugs. 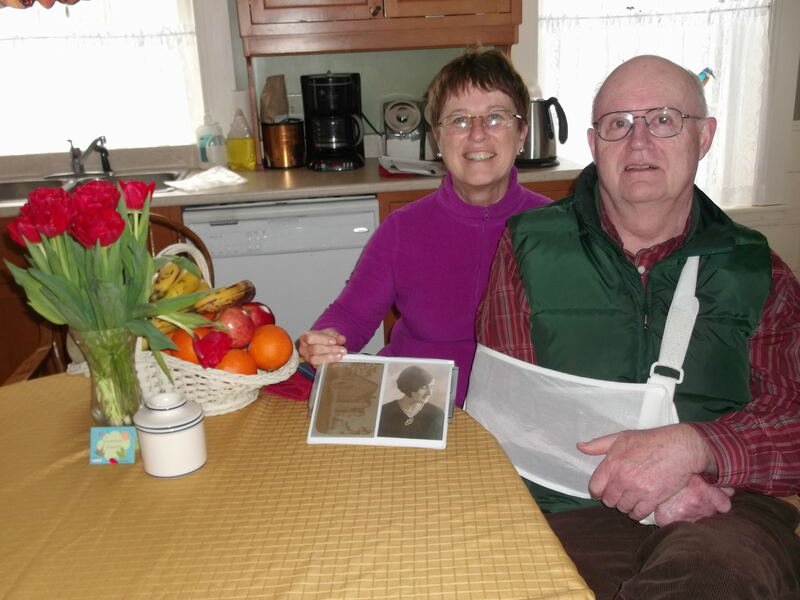 Just down the road from here the local mill made rolls of wool; my father used to tell us how his mother sent the sheared wool from the farm to the mill in Millview (Pastimes PEI is located in the little community of Millview, P.E.I.) because it made the best “rolls”. Wool carding is the process of brushing the wool fibres to organize them. It creates a continuous web of fibres that can be layed out flat into batts, rolled into rovings, or split into spinning rolls. The natural fibers that we use in rughooking today include the burlap and linen backings through which the wool is hooked. 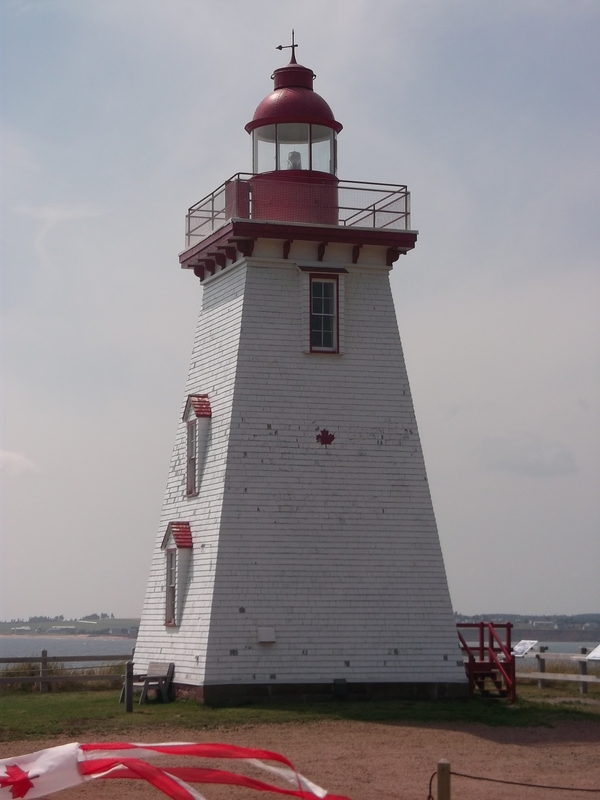 At Pastimes PEI we create our hooked items in wool, the fiber that they ‘grew’ on their own farms in the past; today we use local yarns from the small PEI and New Brunswick mills that still make yarn, and buy wool flannel fabric from USA. 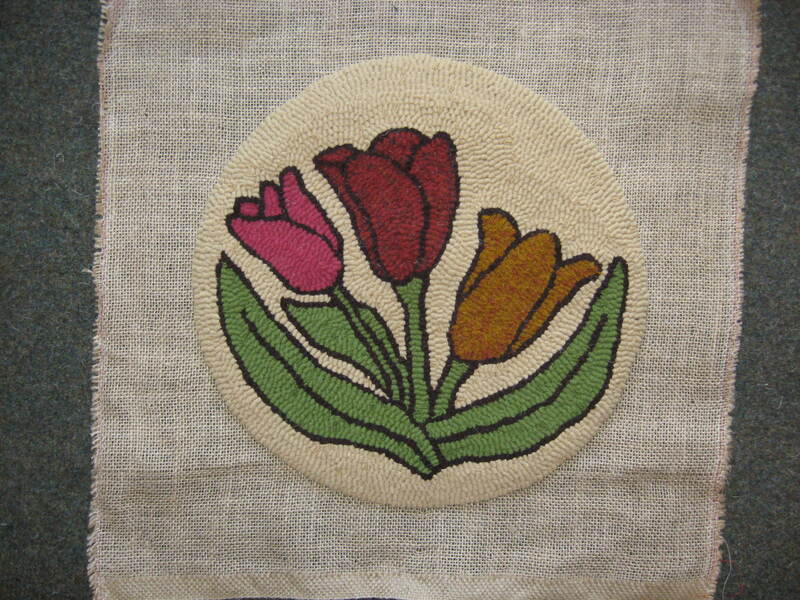 The popularity of rug hooking in North America and around the world, these days, keeps the factories producing wool fabric, yarn and fibers especially for rug hooking, felting, knitting, sewing and other wool crafts. We are glad that people today are raising the sheep and others are spinning and weaving it so we can enjoy our favorite pastime. That is why it’s all about the sheep and their wool here at Pastimes PEI. 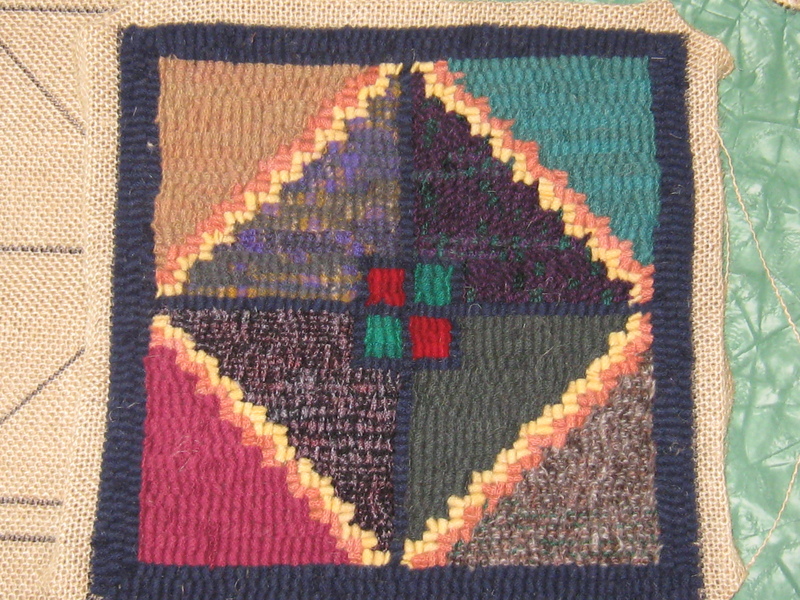 If you read the introduction in 2012 part2 you will find the reference to rug hooking and go on to read the full article. The article is very interesting, indeed. Through Montgomery’s writings we are able to get a better idea of what day-to-day life was really like for women of the past and who hooked the rugs that we cherish as heirlooms today. 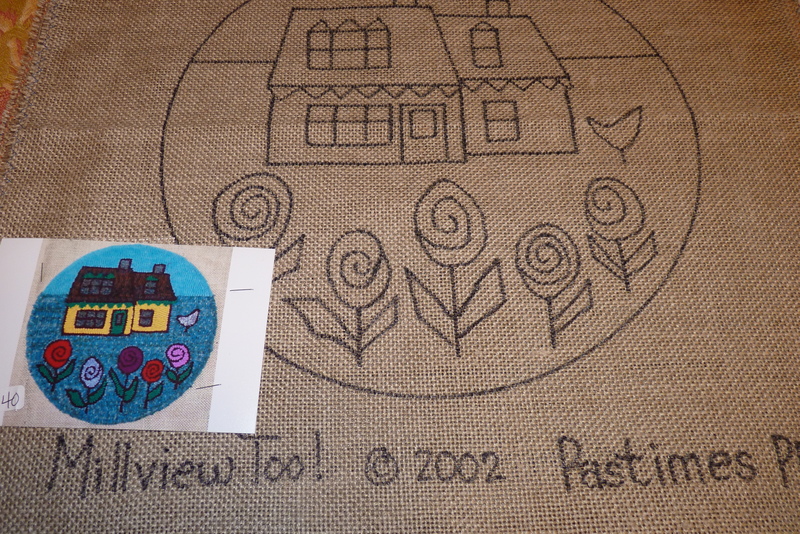 As part of the story, our Cavendish hooked rug was featured as an example of a traditional PEI scrap mat pattern. 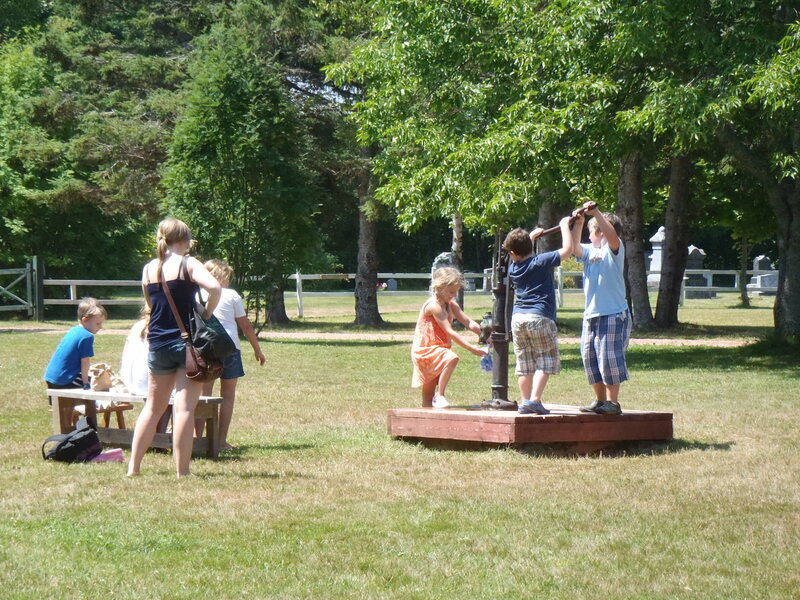 Because I was born and raised on PEI, I already have a sense of what life on PEI used to be like. 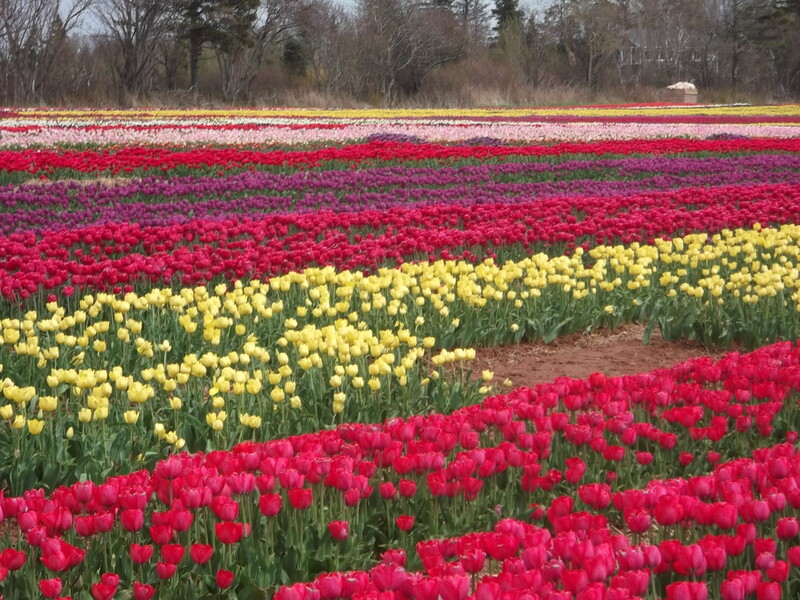 Fortunately for us all, Lucy Maud Montgomery eloquently wrote her books, including Anne of Green Gables, on the topic she knew best: her life on PEI. I like to think that Heather, Bette and I are carrying on the tradition of storytelling by hooking our own stories into our rugs. We have a strong sense of past generations as we honor them with the subjects, materials and, the simplicity of the past. Gosh, I realize that I would make a terrible writer…. I’ll stick with the hooking and let you read what the literary society has produced! 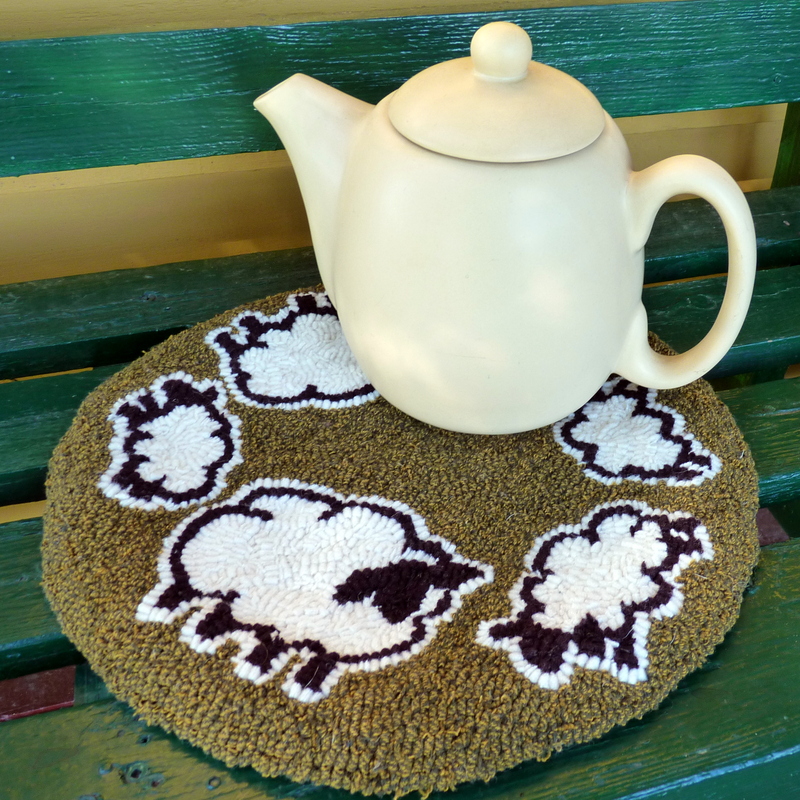 We have hooked quite a few Cavendish rugs in the past; they may look simple but there is really a lot of work to get them to look just right – they are charming reminders of how talented many of our rug-hooking ancestors really were. 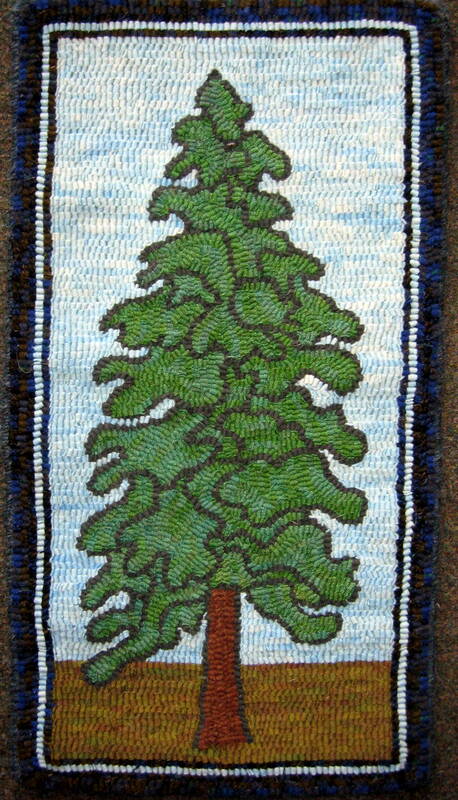 We have talked to many people about rug hooking through out the years; we have seen many charming Cavendish rugs. 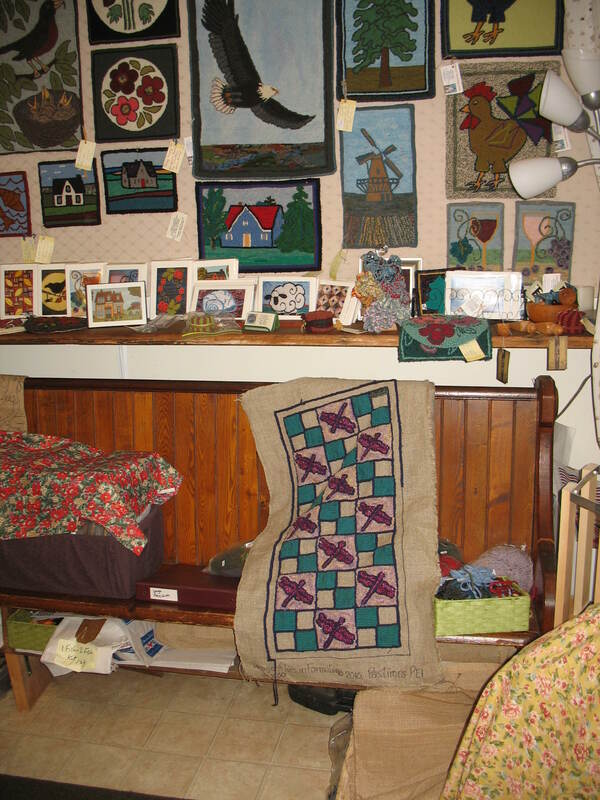 Here are a few of our Pastimes PEI rugs, hangings and samplers.